Mason County is home to dozens of barns...many of which have been in existence for a century or more. It was quite common for these barns to feature a variety of decorations, something that became a lost art in recent years. 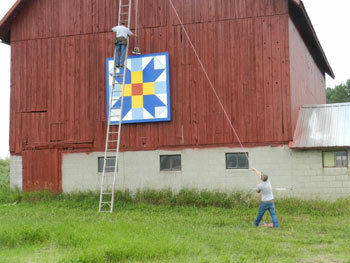 Now, as part of the Mason County Cultural Trail, a Barn Quilt Trail is taking shape. 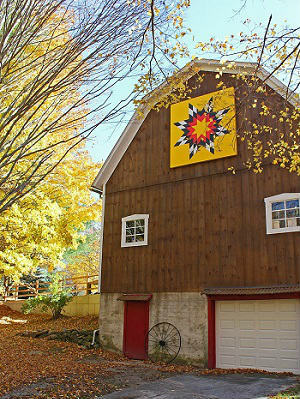 Each quilt is actually an 8' x 8' plywood square in which the barn owner (or an artist of their choice) can paint a design. 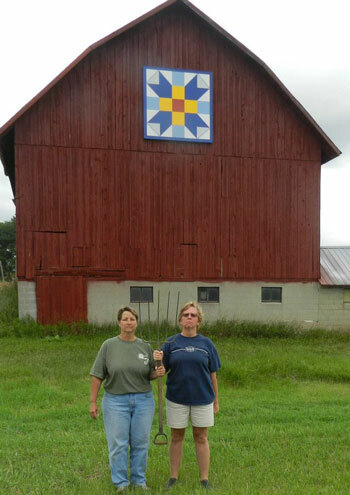 The barn owner is responsible for the cost of the squares, but is helping the community become a richer cultural area. There are now a total of eleven quilts gracing the facade of area barns. In addition to being part of five trails on the Mason County Cultural Trails, those on the planning committee envision this as a regional project, connecting with the Old Mission Peninsula Quilt Barn Trail. Read more about Mason County barns, and view a map of local barns.